Dr. Alan Lefor is a recognized general surgeon in Los Angeles, California. He got his medical degree from State University of New York Upstate Medical University and did three residencies, two at SUNY Upstate Medical University and one at National Institutes of Health Clinical Center. Dr. Lefor is certified by the American Board in surgery and has over 30 years of experience. 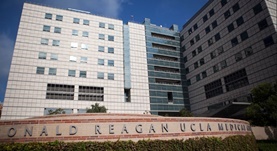 He is currently affiliated with Ronald Reagan UCLA Medical Center. Dr. Alan T. Lefor has contributed to 2 publications. From the guest editors: robotic-assisted oncologic surgery: present status and future challenges. Foster, C. E.,Lefor, A. T.; Cancer J. 2013 Mar 27. Laparoscopic interventions in lymphoma management. Lefor, A. T.; Semin Laparosc Surg. 2000 Jun.